Today was day 2 of AWB. 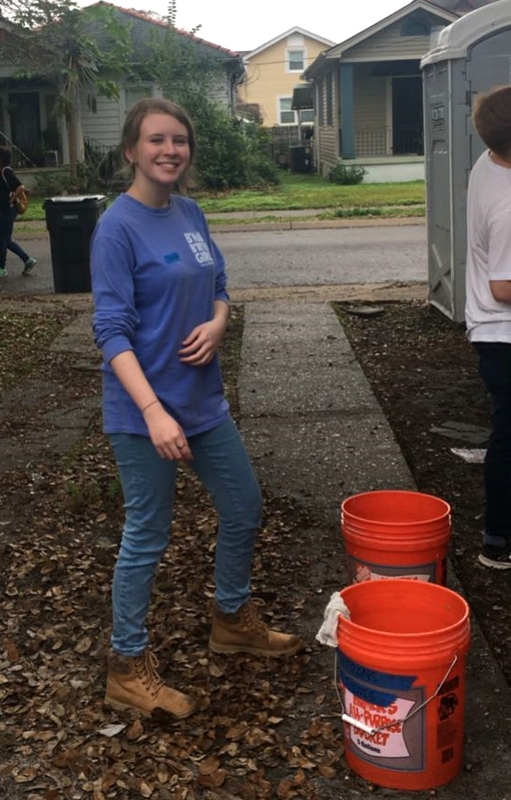 Today we worked with the St. Bernard Project which is a non profit organization responsible for restoring homes affected by natural disasters. Today I worked in Toro house. I cleaned windows, painted the roof (and my shirt), and mulched the perimeter of the house. It was an incredibly rewarding experience that will stay with me forever. Later that same day we had the opportunity to go to Jackson Square in the French Quarter, which is always insanely fun and lively and in my opinion the very epitome of what the New Orleans experience should be. It was so amazing to see some people eating their first beignets. I had so much fun.